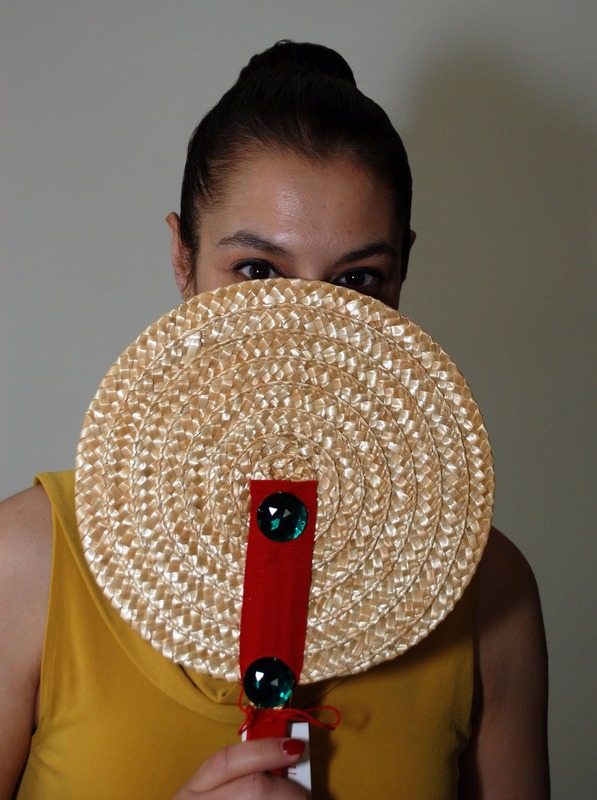 This traditional Sicilian hand fan is a super fashion accessory; very trendy, it's a must have during summer time. 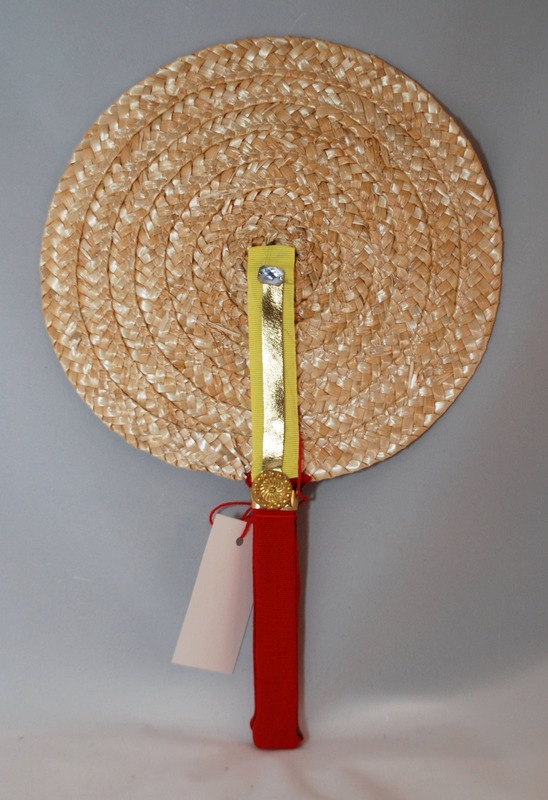 Fans are 100% handmade from scratch, they are made of Sicilian dwarf palm leaves, satin, cotton and metal. 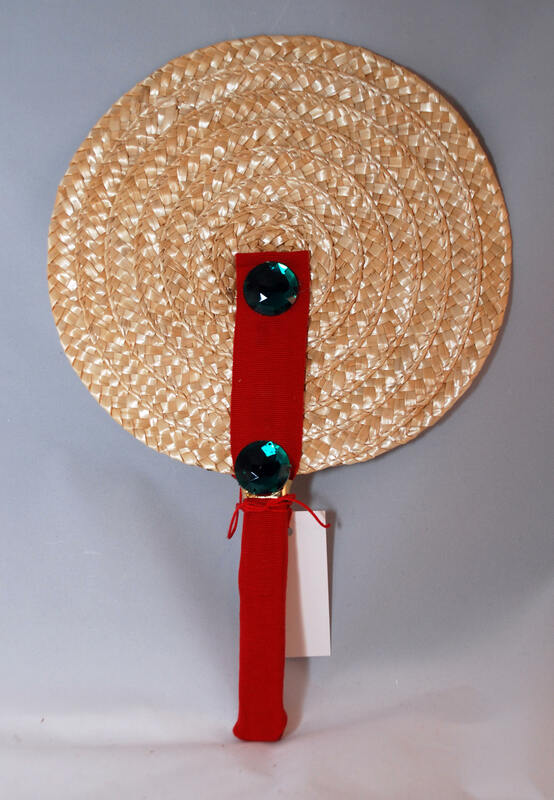 Fans are finished with ribbons, stones and fabrics that reinterprets the island's tradition. You can match with a traditional coffa available on a separate list. We import those items from Sicily to the U. S. for the enjoyment of our customers. We recommend to use this fan for your everyday business of even for formal evening events, indoor or outdoor. Approx. Dimension: 15" x 10" x .75". Net weight 3 oz.